At the Event Finalise meeting which takes place 30 - 40 days before your Wedding Day, we will need your timings and Day Plan and where you want everything to go, when and where, in some detail. This is where all your requirements for each room are carefuly documented. Most of the finishing touches and fine decorative work will be done by your Table Decor Suppliers and / or you. 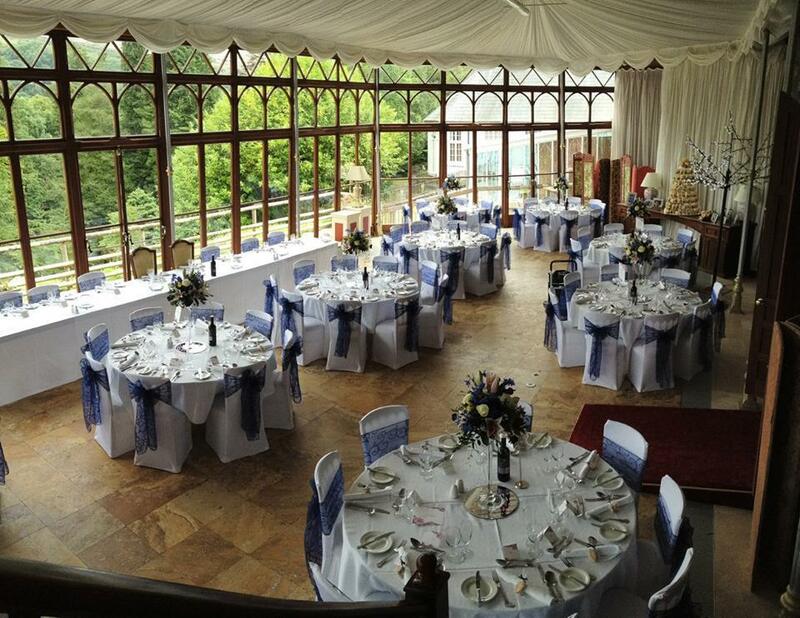 The initial room set-up (positioning of tables and chairs, linen requirements for the table cloths, table plan layout in the Conservatory, the theatre ceremony room seating layout, chaircovers, thrones and stage set-up, the Nicolini Lounge welcome drinks set-up etc) will be down to us. While some of these 'Running Orders' are very detailed (as per the example below, depending how detailed your specific plans are), some of the instructions are tasks we have to do and some are applicable to the Wedding Couple, being things you intend to do. Other tasks will be for your Wedding Suppliers to do. We need to know what you are planning and what you require of us, yourself and other suppliers, down to the most accurate detail, and we will specify on the Running Order who is doing what. To help you in planning all this, we recommend you read the Set Up by Suppliers page here. (i) Decide whether to appoint a Wedding Day Organiser - which may mean having a Toastmaster or a deputy to assist. 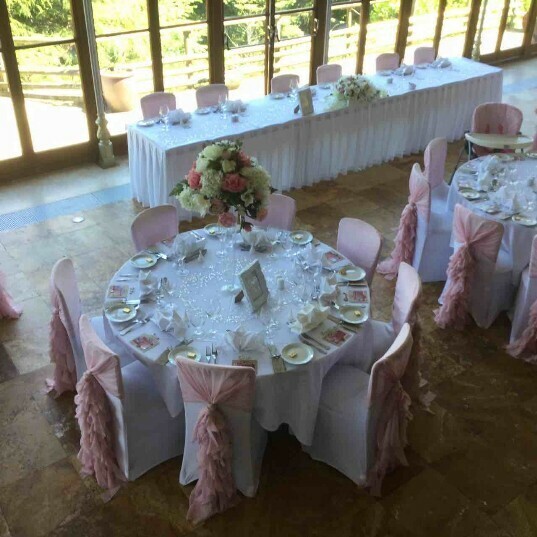 Our in-house Wedding Planner will assist in this function throughout the day if you have not appointed anyone specific, but it is worth reading what an 'Organiser' is responsible for. (ii) Study the Suppliers by Category Planner page, to check if there are any categories of Supplier you might have missed, or supplier services you might wish to add for your Wedding Day. Many of these are of course optional and will add to the cost. It is for you to decide which additional services to hire, if any. This page should be read if only to ensure you have covered all the elements of service support you may need. 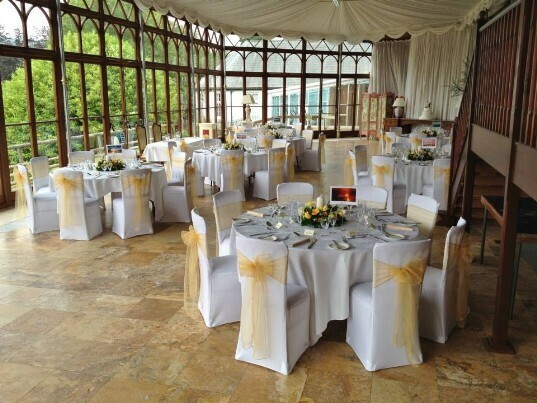 (a) Set-Up by the Suppliers - either the night before (in Conservatory) between 10pm and midnight, once room vacated, or early on the day in the case of table decor by suppliers, and in the afternoon during the Wedding Breakfast, in the case of the DJ for the Evening Party. (b) The Ceremony - typically around 12.00 to 2.00 pm. Note that the Ceremony occurs prior to guests booking in to their rooms, as booking in time is 3 pm, no earlier, to allow rooms to be cleaned. We have changing facilities in our sports room. The Ceremony will last about 30 minutes. See Wedding Ceremony Prelude, Processional, Ceremony and Recessional here. (c) The Welcome Drinks - immediately after the Ceremony, served in the Nicolini lounge for most weddings, though on sunny days the Garden or Courtyard has been used as an alternative. Guests will now be getting hungry, and it is still 2 hours until you sit down for your Wedding Breakfast. Consider including Canapes with the welcome drinks to stave off guests' hunger. (d) The Photographs - this is now a serious part of the day for your photographer who will want to capture the best shots. You need to allow two hours between the Ceremony finishing and the Wedding Breakfast starting for photographs. Your photographer will need help from your appointed Wedding Day Organiser to shepherd guests away from the bar area and various rooms where they will be chatting, to be photographed in various locations inside and outside the castle, in the Courtyard, and in the theatre gardens with the backdrop of the Brecon Beacons National Park, or even, in the Country Park itself (you and close family or you and the groom alone) for lakeside shots and woodland shots in the lower gardens / Country Park boating lake. (e) The Wedding Breakfast - Allow a minimum of two and a half hours for this, going on three hours, with Speeches/ Toasts - see order of speeches here. (f) Evening Entertainment - Should commence after an 'interval period' of an hour or so after the Wedding Breakfast ends, to allow guests to freshen up in their rooms, or catch up chatting to other acquaintances friends and relatives whom they were not seated next to, at the Wedding Breakfast itself. Read more on Wedding Breakfast and Evening Buffet timings here. (g) Evening Buffet - Should go out around two and a half hours to three hours after the Wedding Breakfast ends, to allow guests to build up an appetite and to avoid food wastage. The recommended interval of around 3 hours can be shortened down to two hours if you have a large contingent of evening extras arriving (they will arrive hungry, unlike the by now very content Wedding Day Guests). (h) Coaches collect non-residents - Transport should be laid on if having a large evening contingent, rather than risk drink-drive. However our Wedding Packages generally encourage high accommodation use, so the Party lasts long into the night and people can relax and enjoy themselves because they do not have to worry about driving home late at night. It is generally better with any 'destination wedding venue' - which we are - to invite everyone for the whole day, rather than expect evening only guests to make a long journey to somewhere which is not local to any town and to which guests will have to travel some distance to get to. While we will help you set up a lot of elements of your wedding, where extra work is required and any extra staffing has to be laid on, there may be a small service charge. 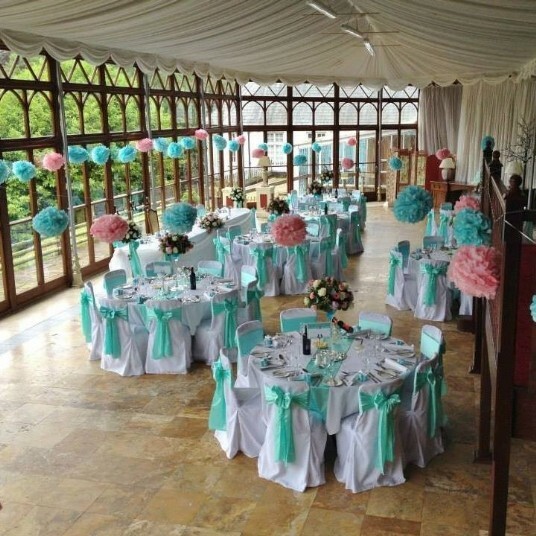 Also, as we are now recommending Brecon based table decor company 'Centre of Attention', much of your table decor will be taken care of for you, if you elect to use our recommended supplier. Finally, it is recommended you appoint a few 'helpers' of your own, who can help look after the decor elements you are responsible for, and to help ensure any suppliers you have appointed to do work on your behalf, do as you have planned. You as the Wedding Couple certainly do not want to be chasing Suppliers and organising things on your Wedding Day. 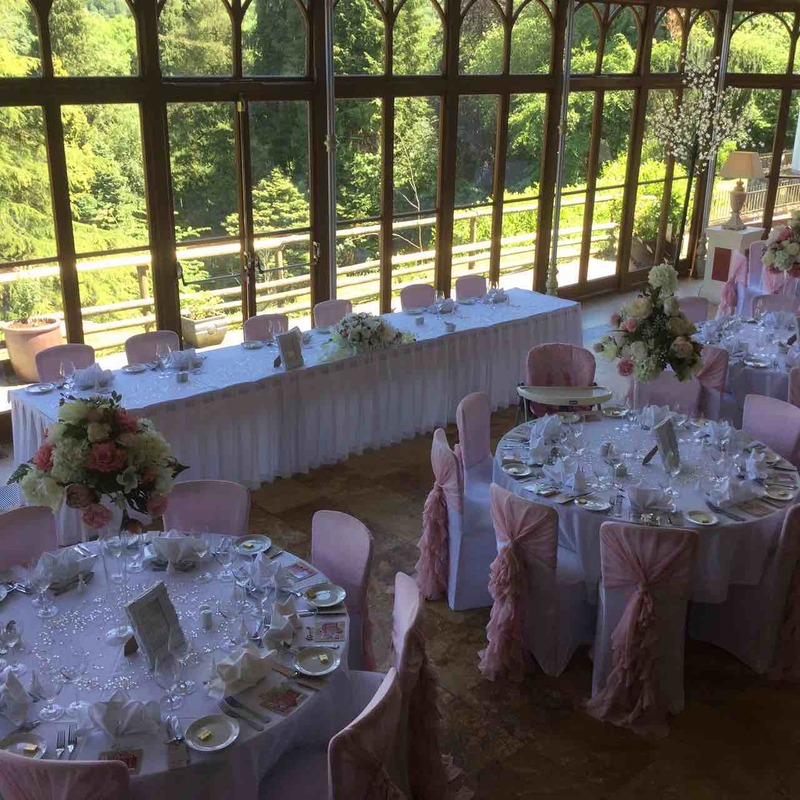 Much of this general management of the Wedding Day will be taken care of for you by the Castle's Wedding Planner of course, but appointing your own Wedding Day Organiser is also a good idea. In the old days your helpers would be the Best Man and Ushers, but this tradition has died out and, indeed, most Best Men are completely unfamiliar with such duties. Traditionally weddings would appoint a Toastmaster, though this seems to be falling out of fashion too, sadly. I have always believed a Toastmaster familar with the venue really adds to the sense of occasion and of course, they are experienced in seeing things that need doing on your Wedding Day. A Toastmaster helps with meeting and greeting guests, giving a good first impression, and helps with directing guests to various locations, rooms and facilities around the Castle. They also help muster everyone together for the Wedding Photographs, a task which is not easy when guests are mingling with each other, deep in conversation, around the bar. A Toastmaster also assists any Suppliers with setting up at the Venue and with the Wedding Day Schedule. In the absence of a Toastmaster, most of the above duties fall to the Castle's Wedding Planner, though they will not be exclusively meeting and greeting and directing your guests in the same comprehensive manner as a Toastmaster will. In the example below, you will see how we have identified who does what task - e.g. us, you, or your supplier. Here is one example of a typical Wedding Client's Running Order and Day Plan. Another example follows below this one. Bride said she might stay the night before. Agreed as there is no wedding the day before they could either set up the night before, or on the morning of the wedding from 8am. Peroni and Prosecco, maybe more Prosecco than Peroni but still TBC. 10 Orange Juices for kids. Haven’t sent invites out yet, so I told them to add the food choices on to the invites and send them ASAP. Using as 3rd course. 3 Tiers (1 will be a dairy free) anything that’s left after 3rd course, cut and put out with the evening buffet. Standard 6 item buffet - awaiting choices of the 6 items. Numbers: 60 guests (invited 80 but no-show rate estimated at 20). 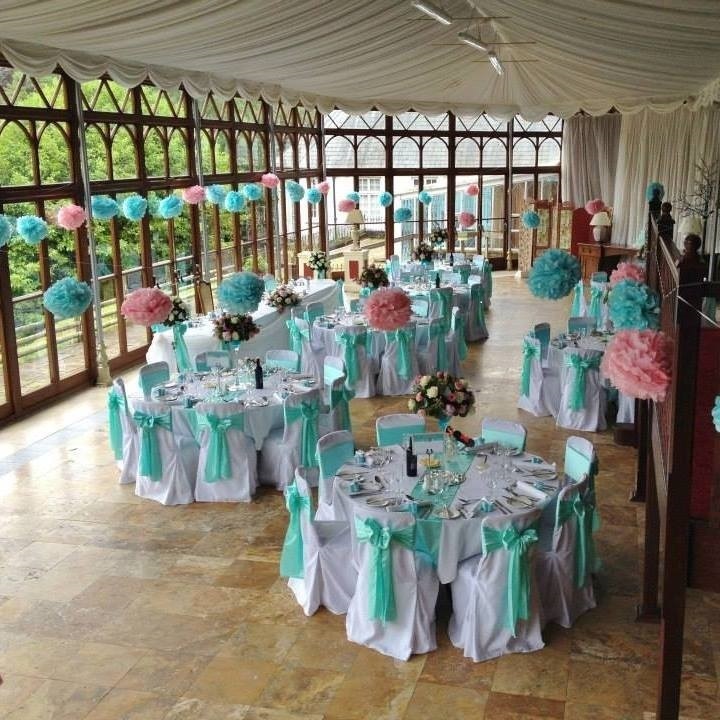 Chair covers to stay on. Music: Confirmed they need a CD with 4 songs, we provide the CD player and someone to play it - test CD plays OK before Ceremony. 5 round tables and a top table. Cake to go on the bureau table. 2 extra tables against the window on the left as come down the stairs. One for sweets and one to put a frame on that they are attaching photos to from a polaroid camera. They want this then to be removed before the evening. Putting a card box by the window. Welcome drinks - display on oak chest. XXXXX (DOG) PART OF THE CEREMONY CARRYING THE RINGS TO THE COUPLE. 85 (CYN) Covered Chairs & One for Harpist On The Stage. END OF SERVICE EXIT OUTSIDE FIRE EXIT TO THE ARCH FOR PHOTOS AND RELEASING OF DOVES. WINE ON TABLES – 9 Red, 9 Rose, 9 White – 1 of each per table. Corkage paid for 2 Bottles of Moet. LABELS TO BE PROVIDED BY COUPLE BUT CYN TO PUT LABELS ON! WHITE LINEN TABLE CLOTHS & 'SHARD' NAPKINS. RHIAN FRANCES TO COVER CHAIRS, DECORATE AND TABLES! Every Other Row Will Have Cloud Balloons on Them & Every Other Mirror Plates with Lanterns On, Silver & White Petals & Crystals Down Centre OF Every Table. Large Candelabras on Buffet Tables & Blossom Pillars Each End of Buffet. Drag artist as entertainment- Joanna Bumme 8:45PM For Approximately 1 Hour. Photographer is a member of the wedding party. RF is providing chair covers & backdrop for top table. Ruth Hicks is the harpist. DJ Pure is providing SWEEP.